HEART OF THE COUNTRY is the story of Shinichi Yasutomo, the extraordinary principal of a rural elementary school in Kanayama, central Hokkaido, Japan. Yasutomo is a man driven by his vision for learning and his passion for educating the heart as well as the mind. 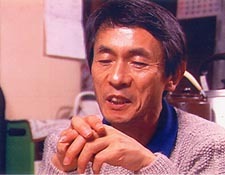 The film follows Yasutomo, his teachers and staff, students and their families over the course of one entire school year. Beyond intimate observation of everyday life, from morning gymnastics to the graduating ceremony, HEART OF THE COUNTRY takes viewers into the world of Japanese values, revealing how the school, the family and the community are bound together in a self-perpetuating relationship based upon obligation, mutual responsibility and trust. Offers an insight into the Japanese Kabuki star Tamasaburo Bando, one of the last defenders of this ancient and disappearing performing tradition.